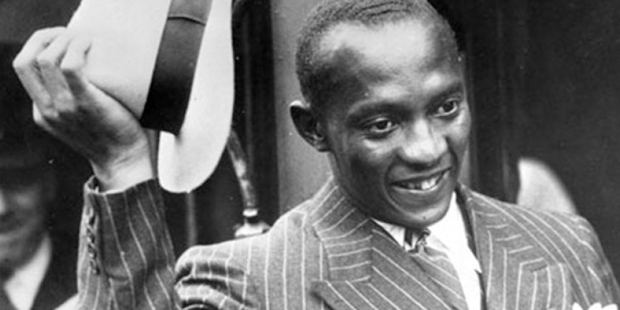 Jesse Owens was born on September 12, 1913 in Oakville, Alabama. When he was nine years old, his family moved to Cleveland, Ohio as a part of the Great Migration. Owens did odd jobs in his youth to support his family. He worked in a shoe repair shop, loaded freight cars and also delivered groceries. He soon realized that he had the passion for running. He attributes the success in his career to Charles Riley, his junior high school track coach. As Owens used to work in a shoe repair shop after his school finished, Riley allowed Owens to practice before school hours. Riley had already recognised the talent that was lying dormant in this skinny tall lad. Soon the nation took notice of Owen’s talent when he equalled the World Record of 9.4 seconds in the 100-yard dash (91 m) when he was in high school itself. Owens was able to join the Ohio State University when his father was able to find a proper job and support the family by himself. Now Owens was able to focus completely on grooming his talents. 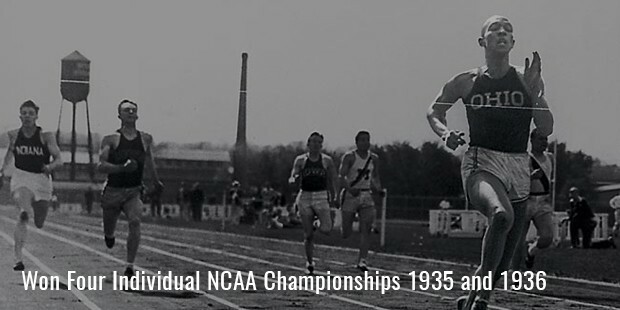 He won four individual NCAA Championships in both 1935 and 1936. This made him the athlete with the highest number of championships in individual events in American History. He had to again work part-time in order to pay for his college expenses as he was not given a scholarship for his athletic achievements. 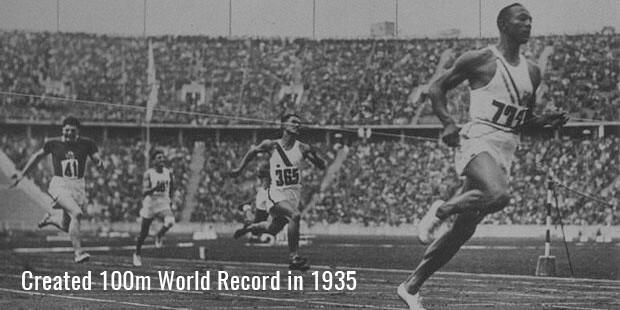 In 1935 he created history when he set three World Records and tied another record in the space of 45 minutes. The date was May 25, 1935 and the event was the Big Ten Meet in Ann Arbor, Michigan. He equaled the World Record in the 100-yard dash and set new records in long jump, 220-yard sprint, 220-yard low hurdles. This was one of the greatest athletic performances that had been done in such a short space of time. 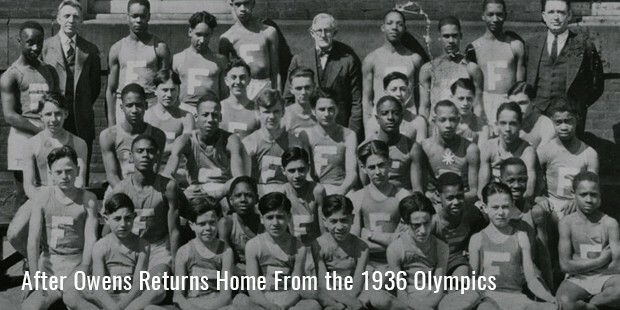 1936 would become the year for which the World would remember Jesse Owens. He came to the Berlin Olympics as a contender vying for medals in three categories. Adolf Hitler was confident that his country would dominate the Olympics. Owens was not intimidated by the words of Hitler, he went on to prove him wrong. Owens broke Hitler’s theory and did the unthinkable when he won a total of four Gold Medals at the Berlin Olympics. He won the 100m with a time of 10.3 seconds, the 200m with a time of 20.7 seconds and the long jump with a leap of 26 ft and 5 in. He was not supposed to be part of the relay but was included at the last moment. 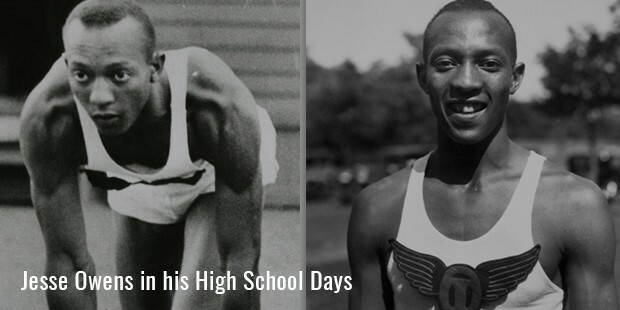 He and his team mates went on to set a new world record and thus Owens won his fourth Olympic Gold Medal. He was the center of attraction for the international media. Hitler came to accept that his theory of Aryan supremacy was wrong. 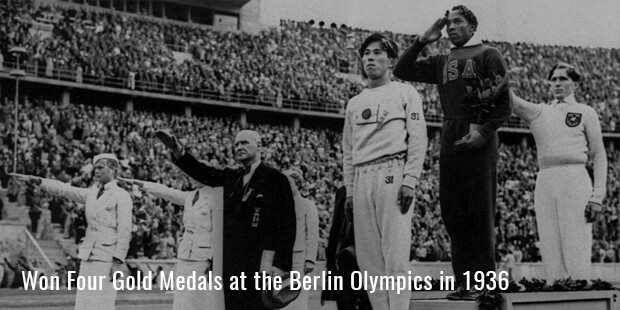 Thus Jesse Owens became the toast of the Berlin Olympics and the most popular person in the World at that time. Hitler also appreciated this man’s talent and sent him a commemorative inscribed cabinet photograph of himself as a memento for his achievements. But Owens’ career came to an abrupt end when his amateur status was removed. The Olympic team was invited to participate in Sweden but Owens went to the United States to capitalize on his recent success by taking part in commercial events. This made the United States Athletic Officials remove his amateur status making him ineligible to represent his country anymore. This decision of Owens was criticized. But what prompted him to take the decision was the constant struggle and discrimination that Owens faced in his life despite being a recognized athlete and having impressive achievements. Today he is a huge inspiration to all those who live in poverty but have dreams of achieving success and fame. Owens has showed that if you can work hard then you can remove each and every hurdle that comes between you and success. He has been the one who was able to receive appreciation even from his biggest enemies. This shows how self-motivated he was to excel and how he went on to become ‘The Unstoppable’.